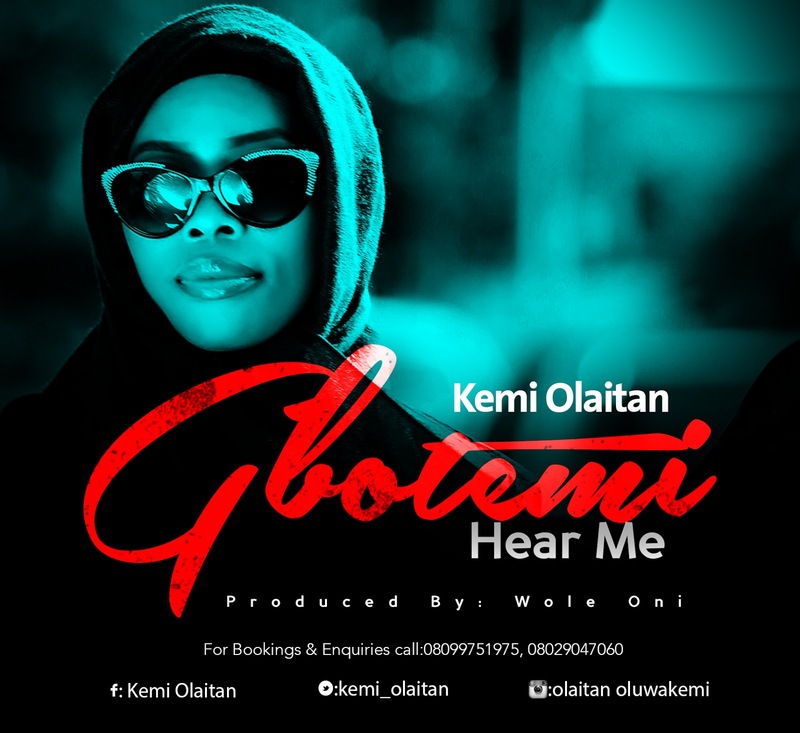 Beautiful Folk music, rich in culture without compromising its spiritual depth and comfortably fitting into the contemporary trend of music,Kemi Olaitan’s supplication sung into the rhythmic “Gbotemi” is an empowering soul lifter, a reassurance of the hope and trust in a God that never fails. After the success of her first album which birthed hit singles such as “Shamona Mi”, “Baba”, You are Worthy”, amongst others, Kemi Olaitan teams up with award winning producer Wole Oni for a greater feat than her previous offerings. “Gbotemi” is not just a rich work of art; it is also a rich work of ministry. She started singing at a tender age but her academic studies almost chose another path for her when she majored in Catering and Hotel Management at the Lagos State Polytechnic. An indigene of Ondo State, she moved to Lagos after her secondary education where her gift found roots haven been part of various choirs including that of her local church. Meeting her husband took her career a lot of notches higher and added the professional edge that produced her first album and Kemi Olaitan – the artiste. She has ministered at various churches, outreaches, conferences, working with producers including Jay Chords and Daniel Adegbenro who produced her first album. “Gbotemi” is a song God dropped into my conscious mind while thinking of all I've gone through generally and to bless others in such a way as to acknowledge that it's only God we can call upon not to deny us or deprive us our requests just like a bonafide son in the presence of his father. Kemi Olaitan is thankful for TV personality Lara Olubo and producer Wole Oni who orchestrated her meeting with promoter Bola Mogaji (Mr B) and video director Oluyinka Davids respectively. Wole Oni produced the single while Oluyinka Davids (iFocus Pictures) directed the soon to be released video for the single.